photo-eye Gallery Special Edition Print with Signed Monograph by Mitch Dobrowner photo-eye is thrilled to introduce an exclusive Special Edition of Mitch Dobrowner's acclaimed 2013 monograph STORMS for $450. 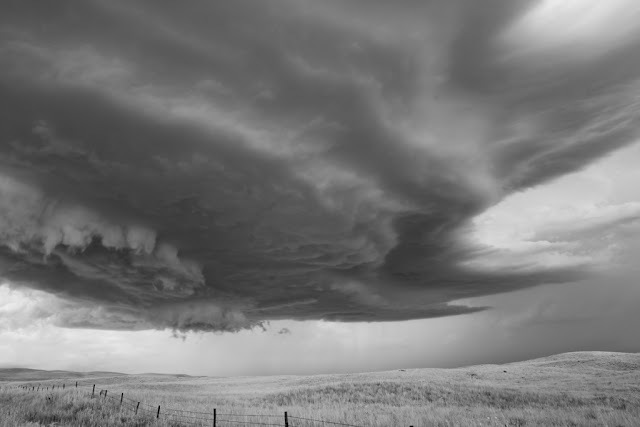 Working in collaboration with Dobrowner, the STORMS Special Edition includes a signed 6.5x9.5" archival pigment print of the image Supercell and Spires as well as a signed copy of the now sold out 1st and only edition of the book. photo-eye is thrilled to introduce a Special Edition of Mitch Dobrowner's SOLD OUT 2013 monograph STORMS published by Aperture. Working in collaboration with Dobrowner, the STORMS Special Edition includes a signed 6½x9½" archival pigment print of the image Supercell and Spires (pictured above) – the image is EXCLUSIVE to the STORMS Special Edition and only available at photo-eye. The Special Edition also includes a signed first and only edition of Dobrowner's acclaimed STORMS monograph and is available for $450 in very limited quantities for starting today. Aperture, New York, 2013, 96 pp., illustrated throughout, 10¼x13¾"
Mitch Dobrowner has been chasing storms since 2009. Working with professional storm chaser Roger Hill, Dobrowner has traveled throughout Western and Midwestern America to capture nature in its full fury, making extraordinary images of monsoons, tornados, and massive thunderstorms with the highest standard of craftsmanship and in the tradition of Ansel Adams. Dobrowner's storm series has attracted considerable media interest (National Geographic, Time, New York Times Magazine, among others). The book features an introduction by novelist and poet Gretel Ehrlich that focuses on the phenomenon of storms and on the landscape tradition of the American West.